PLEASE NOTE: MOIRE NAPKINS ARE BEING DISCONTINUED, HOWEVER, WE DO CURRENTLY HAVE LIMITED STOCK IN MOST COLORS. 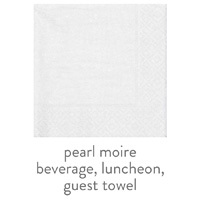 For larger quantities, PLEASE CALL USE REGARDING AVAILABILITY PRIOR TO PLACING YOUR ORDER! Moire napkins and guest towels are tissue soft 3-Ply napkins and guest towels with an elegant moiré pattern tone on tone finish. The moiré finish mimics beautiful silk moiré fabric and has a “wavy” or watery appearance with a slight sheen and a sophisticated pin dot border. 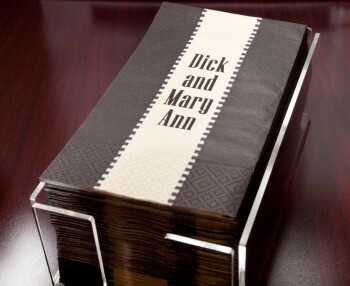 These make a gorgeous addition to a more formal event such as an anniversary party or christening or just add a spark to cocktails on the beach. 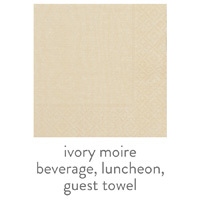 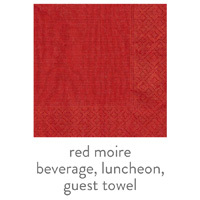 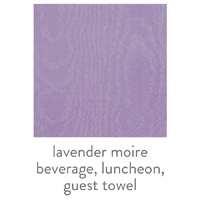 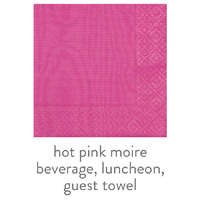 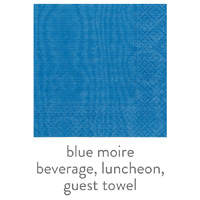 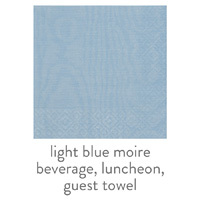 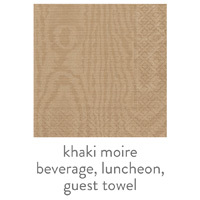 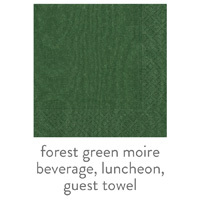 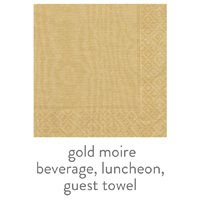 Personalized Moire Napkins and Guest Towels are available in 3 sizes (beverage/cocktail, luncheon and dinner/guest towel) and 16 designer colors with low minimums starting at quantities of 50. 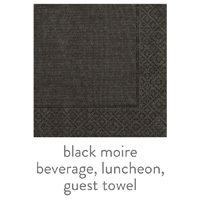 MOB Beverage 5.0" 5.0" 3.00" x 2.50" 3.00" x 3.00"
MOL Luncheon 6.5" 6.5" 4.00" x 2.50" 4.00" x 4.00"
MOT Towel 4.25" 8.0" 3.25" x 2.50" 3.25" x 4.75"